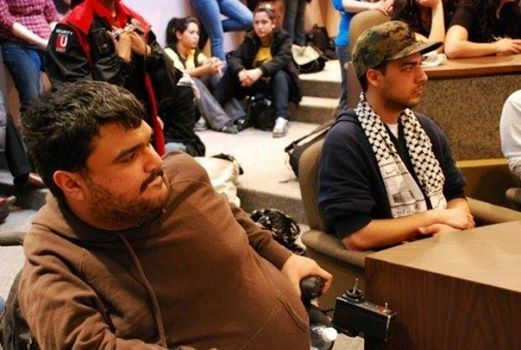 Toronto-based activist and journalist Ali Mustafa was killed on Sunday, March 9, by the Assad regime’s bombs in the opposition-held city of Aleppo, Syria. Below is a collection of stories and tributes to Ali from many of us who knew and loved him, in no particular order. As we continue to mourn our loss and remember Ali, we will continue accepting your contributions. Please send all subsequent tributes to basics.canada@gmail.com. Please also consider making a financial contribution to support Ali’s family in this difficult time. “First We Mourn – Then We Fight” – I met Ali doing organizing work in the left here in Toronto. I felt an instant connection with him. We did some work together, chatted when we saw each other at events and rallies and messaged on Facebook occasionally. As someone who has been around the left for awhile and been doing militant work he gave me hope. He was someone coming into the movement holding the knowledge that the world had to be a better place and was willing to commit to the struggle to make that happen. His death has hit me hard and I have been struggling to understand why. Then I realized why, it was because he was real. He wasn’t passing through the struggle and going to move on from the work. This would be his life, like myself and others that I consider fortunate enough to be my comrades. That is why I felt a connection with him from the moment we met. I knew Ali from both activist spaces and from partying, and my fondest memory of him was when he spontaneously broke into dance one Caribana day to the song “Walk it Out.” It was one of the rare moments where I saw Ali express an elemental joy, for the truth is that I mostly remember Ali as a sad and lonely man who was searching for a path towards justice that would ground him on this earth. 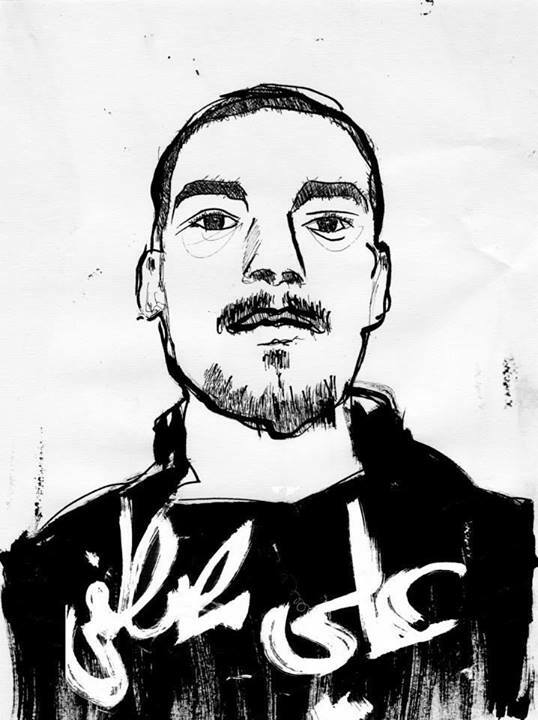 If Ali’s death has me all “mash up” it is because his story is also very much a Toronto story, a North West Toronto story, a story about a poor young man from a mixed Egyptian and Portuguese heritage whose search for justice was also a path towards home. He ended up going all the way in seeking home. I feel he risked too much, but if he did, that says more about we who cannot give a young man a place to dwell and move. We should cry for the living, too. On the one hand, we have these emptied out left organizing spaces that are impotent in terms of making actions or even mentoring young activists. On the other hand we have a young man with a sense of justice but very little ability to translate that into a way of living in the world. Ali only knew how to take a maximalist position. Ali was also broke, lonely and searching for company as much as anything else by the end. I wish the world knew how to nurture someone like him a bit better. I feel like in Toronto, Ali’s story tells us why activists either become reform liberals and simply retreat by 30 or fall into uneasy depression . The violence in Syria is real, but so is the slow drag of nothingness that is here in Toronto. Both made Ali into what he became. I am so glad that people remember Ali as sweet and gentle, because that, too, is how I found him. We spoke a few times. But I also found a deep anger in him that resonated with me. And here I think about Justin Podur’s remembrance: “When I was Ali’s age, I think I had a lot more help and support doing the kinds of things I did than he had doing what he did.” The beauty of it is that that did not limit Ali. The profound pity of it is that Ali has become our shahid [martyr]. I hope his photographs are widely exhibited and sold, so we can see what he saw as he saw it — scenes from our terrible world; and I hope his words are collected and printed in a book to guide us as we continue the fight. Thank you, Ali. RIP. The truth is that I did not know Ali very well. I had only come across him a few times while a member of CUPE 3903 at York. I was there during the strike in 2008 and he was involved with YU Free Press at the time. Though, I didn’t know him intimately like many of the folks here, I could tell right away that if he was going to write any article, that it would be done right; with passion, vigor and a dedication few people bring could match. The world has lost a true champion for the truth. I met Ali through the Coalition Against Israeli Apartheid. He used to babysit my six-year old daughter so that I could attend political meetings in the evening. He did this for free, because he knew I was broke. This is an example of his feminism and humility. When he came back from Brazil and I had just come back from Palestine, we talked about how easy it was to make friends and comrades while travelling, compared to the social isolation we had both sometimes felt on the left in Toronto. Many people loved Ali, but did he feel loved? His death makes me think about how on the left we often make our limited time together on earth miserable, because of ego – something, it seemed, he did not have. He had a rare combination of shyness, selflessness, and yet the courage to take on very public and very difficult revolutionary work. I will never forget him. 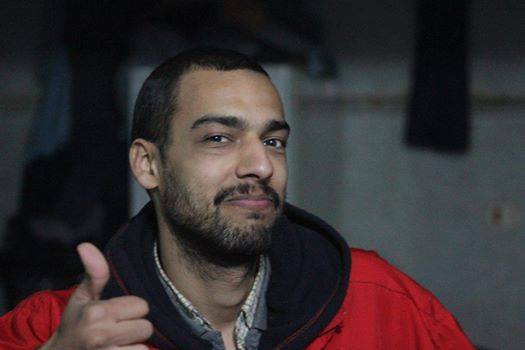 I knew Ali as a friend and comrade and am deeply saddened and enraged by his murder at the hands of the Syrian army. Ali was a very kind, generous, and principled person who was deeply committed to making this world a better place. We happened to both be in Cairo during the December 2011 uprising against the SCAF [Supreme Council of the Armed Forces]. We literally bumped into each other at the front lines of the most intense protest I’d ever experienced. Ali had been in Egypt longer than I, and was more familiar with the lay of the land, so he looked out for me and had my back in many ways. Humble as he was, Ali would say it was not a big deal, but without him on that very first day of clashes I could have easily been injured, arrested, or worse. Ali’s spirit will forever live on through his work and in our hearts, pushing us to be as dedicated as he was to building a better word. “A Reminiscence of Ali Mustafa” – Many people’s voices you forget – even if they are voices you hear every day. Ali’s voice I will never forget.When I woke up Sunday morning and found out the news, I kept hearing his very distinctive voice. Somewhat distant and quiet sometimes, but impassioned at rallies or political meetings, unmistakably working class Toronto. I’d hear him on the megaphone during the [CUPE] 3903 strike of 2008-09 at York University. Or the voice at the bar or in a social space … indeed, even his singing voice – there was one time that Ali came with a few of us 3903′ers to a Karaoke spot on Bloor, and after some prodding, Ali loved to sing, he sung his heart out. Or there was the voice on the GTWA [Greater Toronto Workers’ Assembly] Coordinating Committee, on which Ali and I sat for quite some time. Ali wore his heart on his vocal chords, as it were. As I mourn Ali, I am haunted by his voice, alive as you and me. Let’s mourn Ali, and let’s organize. Ali was a part of the Autonomous Baseball League I helped to coordinate in our inaugural season. In one game he hit three or four home runs in a row, each more towering than the next. In his last at-bat he popped out to first base. He was furious with himself. It seemed to me a good reflection of who Ali was as a person. He knew that the journey wasn’t complete if you didn’t make it around the bases, and he always pushed for each of us to bring our best game. It’s an important lesson that I’ll keep with me in baseball and in struggle. 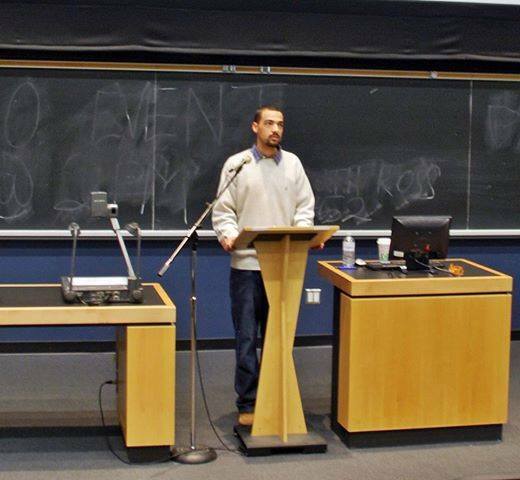 It was in the winter of 2008, during the CUPE 3903 strike at York University, when I first met Ali. He was among the undergrads in solidarity with our strike. His kindness, open-heartedness, criticality, passion and anger touched me quickly and deeply. And our camaraderie soon turned into friendship. Like many of us, Ali was profoundly troubled by our world, here and there, near and far. Yet unlike many of us, he decided to counter alienation by detaching from the everydayness of life, by dreaming revolution in the midst of revolutionary struggles and counter-revolutionary wars. Disillusioned yet passionate, Ali documented the everyday violence, deaths and destructions experienced by those whose lives are considered less valuable in the civilizational chart of humanity. Ali, you’re deeply missed, my friend. Your belief in struggles for human emancipation and justice will always remain inspiring to many of us. With love and in solidarity. I met Ali shortly after I moved to Toronto a few years ago. At first we would meet as he popped up here and there – at a demonstration, at a party, biking down Bloor St. Our friendship deepened as we worked on shared projects – particularly during our short time working together on the journal Upping the Anti and as members of the GTWA [Greater Toronto Workers’ Assembly]. In the last year of his life I spoke with Ali about the work that he was doing in Egypt and Syria. I could see on his face and body and in his words the trauma and terror he was witnessing and experiencing. I worried so much for his safety and mental health. I miss Ali and I grieve very much for the close friendship we would have continued to develop. I wish I could have communicated to him more clearly how much I valued him as a friend and comrade. I’ve been at an utter loss to find the right words to say goodbye to our dear friend Ali Mustafa. But the one thing I keep returning to is that it would be remiss to simply pass over his death without mentioning the increasing sense of isolation and alienation Ali conveyed every time we met, a total consternation at our collective inability to put principled words into principled action. Ali left Toronto and placed himself directly in the middle of the fray because he could no longer keep the reality of human suffering at arm’s length and felt a desperate need to document it, to capture distant shards of time so that others might feel the relentless weight of violence and injustice. In that, he simultaneously inspires and shames me. And the least we can do in response to his tragic passing is to capture and hold on to Ali’s sadness and empathy, to understand the reasons for them, and to turn this moment into a foundation for breaking our silence when confronted with events that don’t fit our established narratives but that deserve our compassion and attention nevertheless. I’ll miss you Ali, I can hear your voice just on the other side of the barrier that separates us and see the glint of that eternal brightness in your eyes. Rest in power. Ali Mustafa was a brave and committed journalist, a young activist devoted to struggles for justice and a better world. He was sweet and kind and funny. His voice was light and gentle. He was shy and humble and I will never forget his laugh. He had determination and heart, but he was also soft and full of empathy. He displayed so much patience when explaining and communicating the politics of the Egypt, Syria, Palestine and he persistently and without rest detailed both the atrocities and the resistances there. He carved out his own political space through questioning and inquiry — he was never satisfied with easy answers. He was my friend and I am devastated by this loss. Since I heard of Ali’s death, I have been reflecting on how much we don’t say to each other — how infrequently we tell each other how much we appreciate all that they are and all that they do. Ali’s politics were the centre of how I knew him, and reflected in those politics was the way he always proceeded with compassion, love, and generosity for all his fellow human beings. All these things were things I’d known and loved about Ali Mustafa since the first time I met him. But, yesterday I realised that I don’t think I’d ever told him this. I don’t think I ever said to Ali that I thought his writing was amazing, his photos were compelling, his politics were inspiring, his commitment to radical revolutionary futures, his humility and kindness — all of these things motivated me to be so much better. I guess these feelings just simmered below the surface, things I’d never even fully articulated to myself until yesterday when I heard, through a tearful phone call, that Assad’s army had killed my friend. So, there are a lot of things I am going to take away from Ali’s life. I am going to pay more attention to the struggles he highlighted and the stories he told, but I am also going to try to mimic his all-encompassing love of other people. I am going to try to tell the people I know — those I know well and those I just know from afar – how much I value their contributions, how they inspire me to be better. I will to reflect Ali’s consistent enactment of comradeship — Ali was truly a comrade — in all that I do going forward now, because his love and passion made an impact on the world and I am not totally sure he ever knew just how many people he touched and inspired. And he should have known this. We all should know this. When the struggle for a better world seems so long and arduous we have to hold each other tight and say out loud how we impact each other positively, so that we can carry on to fight another day. Ali Mustafa, I am sorry I never told you how great you were. You were mighty. I didn’t know Ali on a personal level very well. Ali and I spent a lot of time organizing in SAIA together, but to be honest, the image that pervades my mind most is of him smiling. When Ali smiled his entire face would light up and his eyes would twinkle so brightly. His smile was an event in and of its own. I’ve read about him being sad after seeing so much pain in the world, but I knew him best when he was still young and his eyes were innocent. I still remember the joy in his voice when he told me that he was going to Brazil. He was so happy to finally embark on a journey to see the truth for himself and learn all that he could to help others. Ali was a genuine soul. He believed in what he did and he tried his best to do what he believed. You didn’t need to know him well to know it; you could see it in his smile. I met Ali in the middle of a lockout [sic] at York in 2009: he and others were putting together an amazing campus paper, and knew they had to be rooted in campus struggles wherever they could to be a people’s paper. Ali was one of the only undergrads on our flying squad, put himself on the line in a number of direct actions against scabs, and helped coordinate/sat through an entire occupation of the President’s office. This was the type of journalist he was, always rooted in struggle. The other day while walking between his vigil at Dundas Square, and the anti-patriarchal poetry event at Beit Zatoun, where some poets dedicated pieces to him, I got lost on a tangent thinking to myself that, if a true feminist revolution were to ever manifest itself in battle, he is one of very few among many self-identified radical/politicized cismen that I know whom I would have wanted on my team. Sincerely. A kind and gentle soul and a quirky persona without ego or antics. A friend who appreciated friendship and told you so. No masked misogyny or hidden agendas in this brother. Akkkh, I wanna yell at you for throwing yourself into a war zone but all I can muster is admiration and gratitude . . . You’re in our hearts, Ali. I met Ali doing organizing work in the left here in Toronto. I felt an instant connection with him. We did some work together, chatted when we saw each other at events and rallies and messaged on Facebook occasionally. As someone who has been around the left for a while and doing militant work, he gave me hope. He was someone coming into the movement holding the knowledge that the world had to be a better place and was willing to commit to the struggle to make that happen. His death has hit me hard and I have been struggling to understand why. Then I realized why, it was because he was real. He wasn’t passing through the struggle and going to move on from the work. This would be his life, like myself and others that I consider fortunate enough to be my comrades. That is why I felt a connection with him from the moment we met.